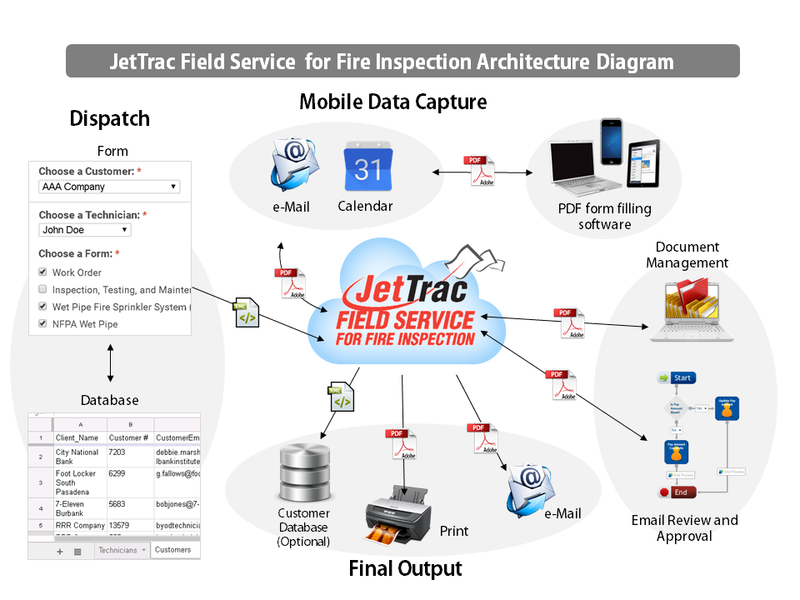 ProTechnologies JetTrac Field Service for Fire Inspection is a flexible and powerful field inspection process automation tool designed specifically for the fire and safety inspection industry. 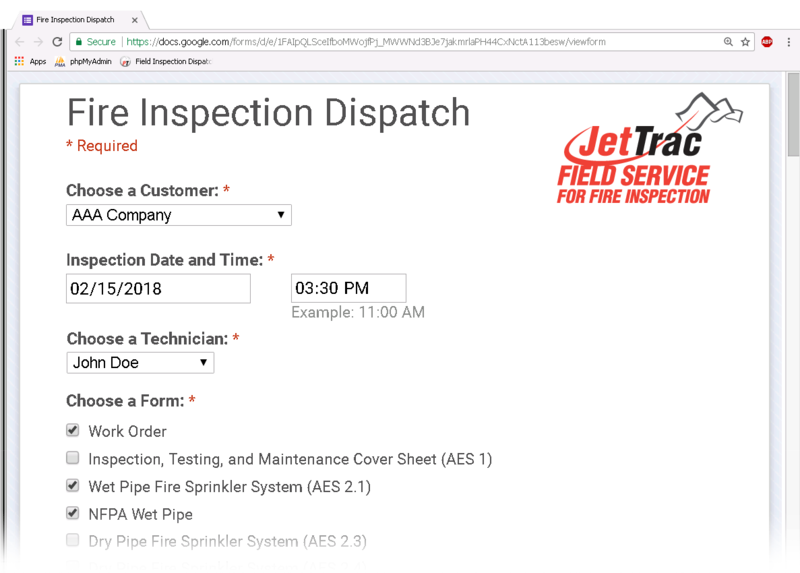 Our mobile data collection solution provides an online dispatch platform that integrates with field technicians and supervisor's calendars, pre-populated electronic forms: custom forms, AES forms, NFPA forms (Needs to be purchased from NFPA). There is also real-time tracking of dispatches and progress. 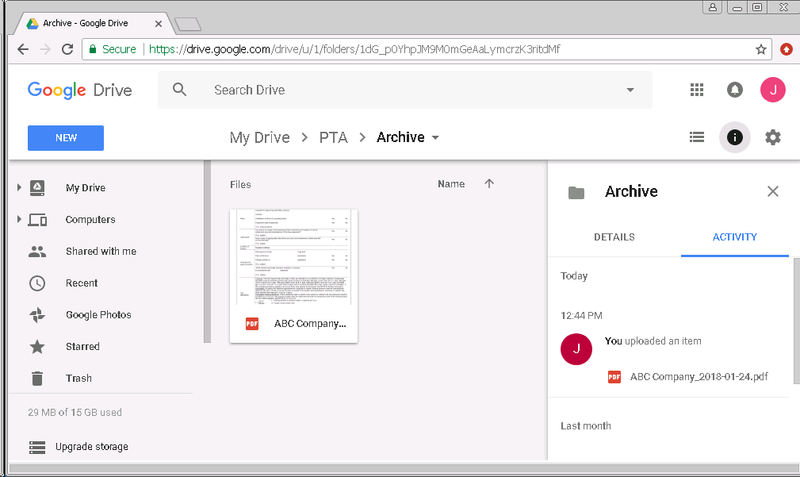 Completed forms package is uploaded to an online archive that can be managed and shared with customers for self-service access. Online Calendar: Create calendar entries for the dispatches. Field Technicians can share their calendar with their Supervisor. 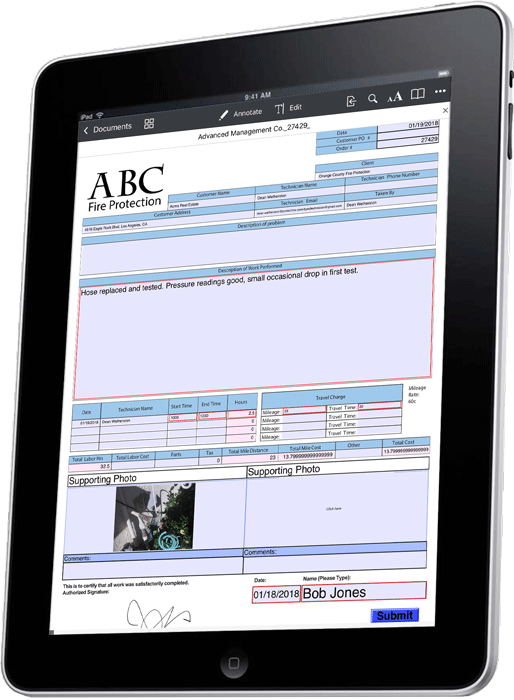 Capture Signatures: Easily capture customer and/or field technician signatures on necessary documents. Photo Capture and Annotations: Easily capture photos right into the forms. You can even annotate/add notes to your images. Barcode Scanning: A Barcode can be scanned from a mobile device or barcode scanner and then copied and pasted into a pdf form. Your Business Rules: Business rules may be added to a form to enforce quality data collection. Such rules avoid missing data, flag potential errors or submission of bad data vastly boosting accuracy. Touch Friendly: Mobile friendly checkboxes, drop down lists, toggles, switches and text field customization (dates, masks, validation) to make collection easy and reduce mistakes. Speech Recognition & Capture: Hands-free e-Forms, speak naturally and voice recognition & capture will fill in the fields for you. 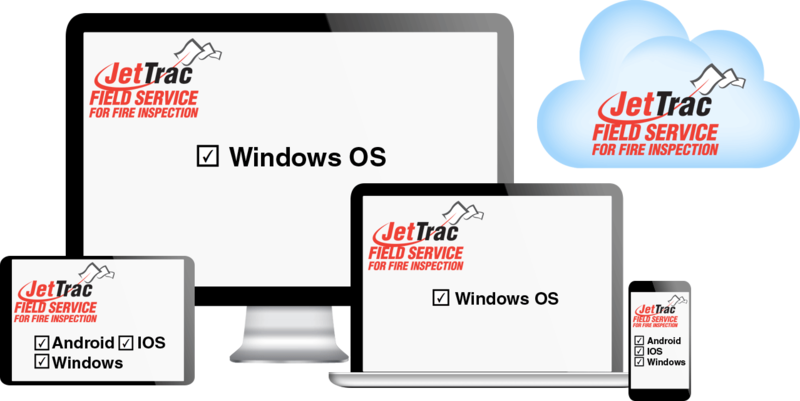 Online and offline: Unlike Web-only solutions, JetTrac Field Service for Fire Inspection works in remote field situations when a hot-spot is not available. The Database is used to manage your data in organized sections eg. Customers, Technicians, Managers etc. Document Management: Completed Documents can be stored and accessed online. A Customer portal gives access to the completed documents. Intelligent Feedback: The form designer can specify real-time feedback during data collection. The feedback may occur when data is entered, calculations are performed or when business rules are violated. Flexible integrations: Send data directly to your line of business applications, databases, accounting accrual systems, document management systems and more — using web-services, flat-file exchange, APIs, SDKs and many other methods. The solution works with any device: iPads, Android tablets, Microsoft Windows devices, PCs, Virtual & On-premise Servers, laptops, Workstations.